Binge-eating disorder is characterized by recurrent consumption of unusually large amounts of food during which a person feels loss of control over his or her eating. People may experience guilt, shame or distress associated with their binge-eating, which could lead to more binge-eating. 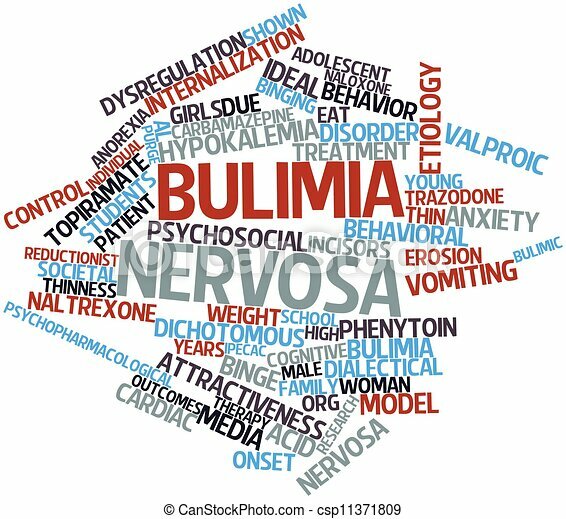 Bulimia Nervosa however, consists of binge-eating as well as a compensation behavior for this overeating, such as purging, excessive exercise, and fasting or use of laxatives or diuretics. People suffering from binge-eating disorder are often overweight or obese and are at a higher risk for cardiovascular disease and high blood pressure while people suffering from bulimia may maintain a relatively normal weight. Barbie’s New Proportions: Will They Measure Up? Only recently did Mattel release a statement that declared they would be coming out with a line of three new Barbie dolls. For the first time in 57 years, the dolls would be getting new body shapes: curvy, tall, and petite. At first glance, one might be excited that Mattel is finally recognizing that 5’9” and 110 lbs. (original Barbie’s estimated proportions if she were real) reflects an extremely low percentage of women’s figures. While this may indeed reflect a response to feminism and/or a cultural shift, are these changes enough or are they merely superficial? The “curvy” Barbie doll by far has the most changes compared to the original Barbie. To start, her face is visibly fuller which actually looks more like what the average person has. Her stomach and backside are wider, but her empire waist top clearly accentuates an hourglass shape. “Naked”, curvy Barbie displays wider calves, thighs, and hips. Mattel notes that she will not be able to fit in many of the original clothes and will therefore have a “special” clothing line to herself. Another change in appearance includes larger feet, though they hardly look that way from the “sneak-peak” pictures Mattel released. Lastly, and perhaps the most striking, is the fact that this doll possesses long blue locks of hair. Mattel has come a long way with the marketing of the dolls since Barbie’s “birth” in 1959. In 1963, the Barbie Baby-Sits doll came equipped with a booklet with the title “How to Lose Weight.” It’s advice inside? “Don’t eat.” Just ten years later, the first surgeon Barbie was released- a time when only 9% of all doctors were female. In 1980, multicultural versions were released… with “Caucasian features”, critics voiced. Later during 1992, Mattel got themselves in hot water again after a doll was released that uttered the phrase “Math class is tough!” Lastly in 2015, a huge expansion of the line included 23 new dolls with a variety of skin tones, hair colors and styles, eye colors, and facial features. While some are excited about what seems to be Mattel embracing diversity, others wonder if this is a means to capitalize off of empowerment and the expansion of their product line (which now includes four times the accessories and clothes). In 2012, Barbie sales across the world dropped 3%, another 6% in 2013, and 16% in 2014. In addition, the Disney Princess line which the company lost in 2015 took away another half a billion dollars per year. Do these three new Barbie dolls do enough to address the problems of body image and self-empowerment consumers have been worried about, or are these changes only superficial? If you believe that yourself or a loved one has or may have issues with body image, self-esteem, or an eating disorder, the psychiatrists, psychologists, psychiatric nurse practitioners, social workers, or psychotherapists at Arista Counseling can help you. Contact our Paramus, NJ or Manhattan, NY offices respectively at (201) 368-3700 or (212) 722-1920 to set up an appointment. Sources: Dockterman, Eliana. “A Barbie for Every Body.” Time 8 Feb. 2016: 44-51. Print. Bulimia nervosa, which is simply known as bulimia, is a type of eating disorder in which the person affected has episodes of eating unusually large amounts of food followed by some sort of compensatory behavior such as purging, excessive exercising or fasting. Someone with bulimia, or any type of eating disorder for that matter, usually has an unrealistic body image of him/herself, which results in unhealthy eating habits. People who are bulimic, just like those who are anorexic, fear gaining weight, want to lose weight and are extremely unhappy with their body. However, what sets bulimics apart is that they usually end up maintaining a healthy/normal body weight for their size. This makes it harder for others to notice that they have an eating disorder. But unlike healthy people, people with bulimia have physical symptoms that are present as a result of their disorder. This includes worn tooth enamels, acid reflux disorder and other gastrointestinal problems, a chronically inflamed and sore throat, swollen salivary glands, severe dehydration, intestinal distress and irritation and lastly, electrolyte imbalance. However, before these symptoms worsen, you can look out for these warning signs of bulimia: evidence of binge eating (disappearance of large amounts of food in a short period of time and finding large amounts of wrappers and containers), an excessive and rigid exercise regimen even if they have an injury, illness or feel fatigued, evidence of purging behaviors such as frequent bathroom trips after meals, finding wrappers for laxatives or diuretics, smells of vomit, withdrawal from usual friends/activities, and the discoloration/staining of teeth, swelling of cheeks and jaw areas and calluses on hands/knuckles from inducing vomiting. By looking out for these symptoms and warning signs, you may be able to figure out whether someone you know and love may have bulimia nervosa and thus get them the proper help they need. However, before the psychological and cognitive aspects of bulimia are treated –just like any other eating disorder- the body must first be treated physically. The first step is to restore adequate nutrition and bring the person back to a healthy weight. After one’s body has become stabilized, they can then move onto other treatment options that deal with the cognitive aspects of the disorder. The most effective treatment is psychotherapy which is often used in conjunction with medication. Psychotherapy helps the person understand their thoughts and cognitions, allowing them to rethink how they see themselves. It helps them fix their distorted self-body image. With the way women are constantly being bombarded with expectations of how we should act and what we should look like, it’s no surprise how many suffer with problems of low self esteem. Body dissatisfaction is one of the biggest predictors of eating disorders and can go on to cause depression and anxiety. It’s as if mass media is working overtime to try to make us feel bad about ourselves. 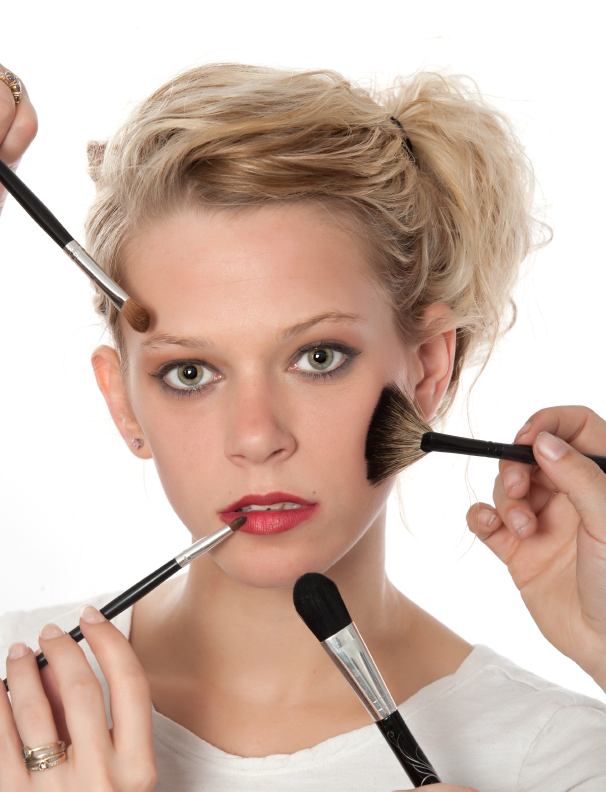 Cosmetic companies are always telling us what we should think is beautiful and that we need their products to be able to achieve it. Over time, we subconsciously begin accepting these ideas and start questioning whether or not we are good enough the way we are. We then buy into their gimmicks to get us to spend our money on their products and in turn, find our self esteem dwindling. Portrayals of women in the media set unrealistic standards of both appearance and behavior. The more attention we pay to media messages, the more likely we are to experience self-esteem disorders. We need to stop and think about why we want to be a certain way. Is it really what we want or were we conditioned to believe that this is what we should want? We must take time to find what it is that makes us valuable. That way, we won’t need to look to the media for what they define beauty as. If you or anyone you know suffers from self esteem issues or eating disorders, there is help. It may be beneficial to contact a mental health professional and receive therapy for eating disorders. If you are in Manhattan, New York, feel free to call us at 212-722-1920 and if you are in Bergen County, New Jersey call us at the Paramus location, 201-368-3700 to make an appointment with one of our own therapists, counselors, psychologists or psychiatrists. Arista Counseling and Psychiatric Services–Contact the Bergen County, New Jersey or Manhattan offices at 201-368-3700 or 212-722-1920. Visit www.acenterfortherapy.com for more information. Obesity is currently a major epidemic in America and is growing. The question is what gives an Individual the desire to eat excessive amounts of food driven by impulse? The answer to this question can vary, however binge eating is an eating disorder just like anorexia and bulimia. There seems to be a stigma attached to obesity and a belief that people who are overweight do not care about their bodies. This is simply an over generalization; There are many emotional aspects that are involved with any type of eating disorder including binge eating. For most people control plays a big part in eating habits. Many eating disorders are characterized by control of eatery. Binge- eaters are not able to handle cravings and desire in order to present themselves from over eating. Over eating can be caused by emotional issues that trigger impulses to eat including boredom, loneliness and depression. Eating is involved in our everyday lives, all around the world. As humans, many people over eat once in awhile- taking an extra serving at Thanksgiving dinner, eating candies when our body is already full. But, for binge eaters, overeating is regular and uncontrollable. Binge eating can have a negative effect on one’s self -esteem and social life. Most have heard of the saying “I’m comfort eating” and for people suffering with this eating disorder its more than just comfort eating -it’s a disease. “Eat to live not live to Eat” should be instilled in your mind. Eating is for survival. If you live to eat then ultimately you are shortening your life span. This could happen because being overweight or obese increases you’re risk of diabetes and cardiovascular issues. Your eating habits can affect your mind and your every day life. Your health should always come first. Speaking to a professional about why you might be having these issues could be extremely beneficial, especially if you don’t know the cause of your binge-eating and choosing not to stick to a healthy diet. 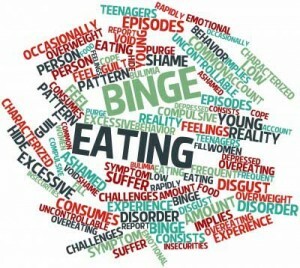 If you feel that you are struggling with Binge eating or have any other concerns about Eating Disorders, feel free to contact our Bergen County, New Jersey or Manhattan offices to work with one of our psychologists, psychiatrists, and psychotherapists who successfully helped others with similar issues. Arista Counseling and Psychiatric Services (201) 368-3700 or (212) 722-1920. Source: Debra.Farbman, Ph.D.”Weight Bullying: Large Size People Who Are Often Targets.” Contemporary Psychoanalysis in Action. N.p., n.d. Web.